this cake is very light and moist. changing the flavors to your liking is great as well. 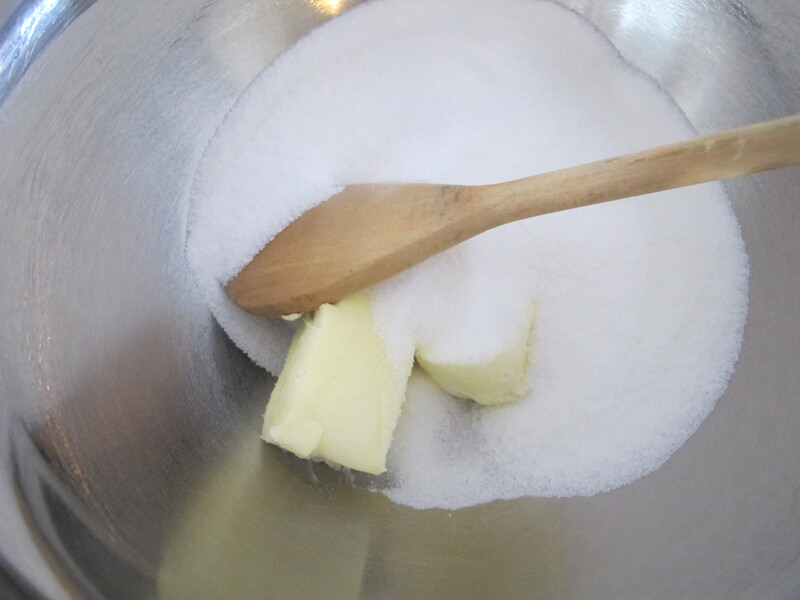 adding almond extract for an almond yogurt cake with a sprinkling of sliced almonds on top, or lemon extract for a lemon yogurt cake with some lemon zest. yum. preheat oven to 350 degrees. 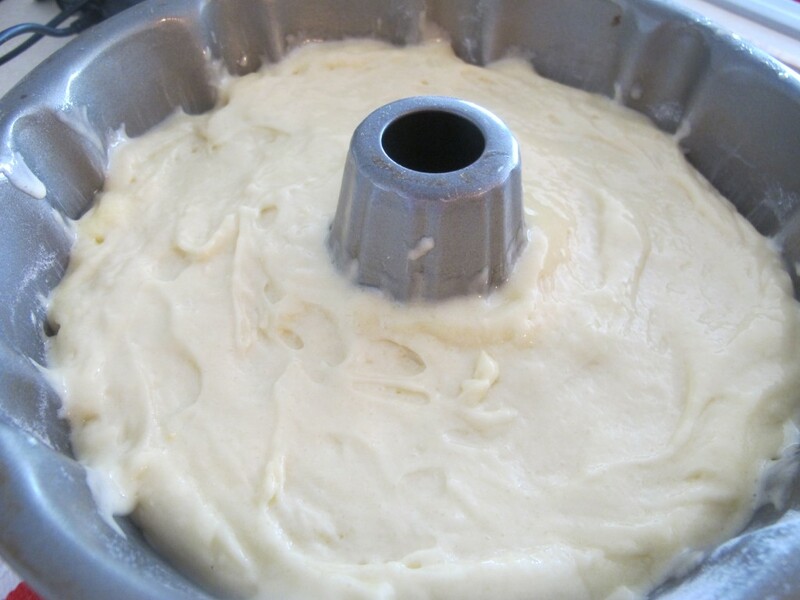 butter a 10 inch bundt pan. dust the pan lightly with flour. 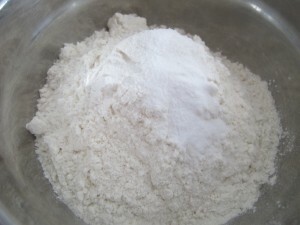 in a small bowl, blend together the flour, baking soda and salt. set aside. blend in the vanilla yogurt. 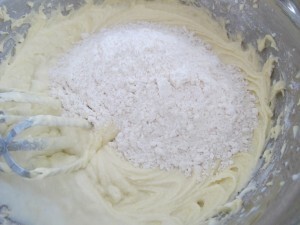 gradually mix in the flour mixture until just incorporated. be careful not to overmix. 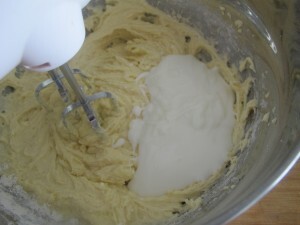 bake in the preheated oven for 45 - 50 minutes, or until a toothpick inserted into the center of the cake comes out clean. 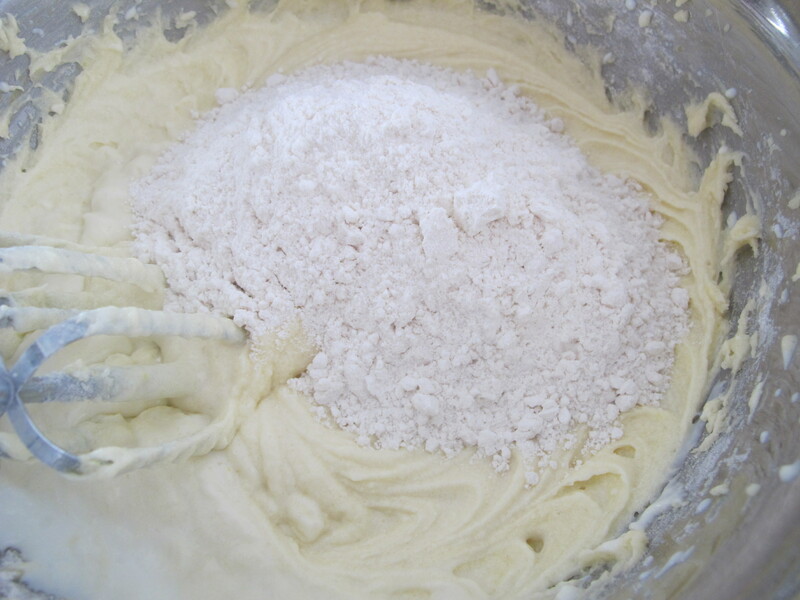 once cooled, turn out onto a plate and dust with powdered sugar. 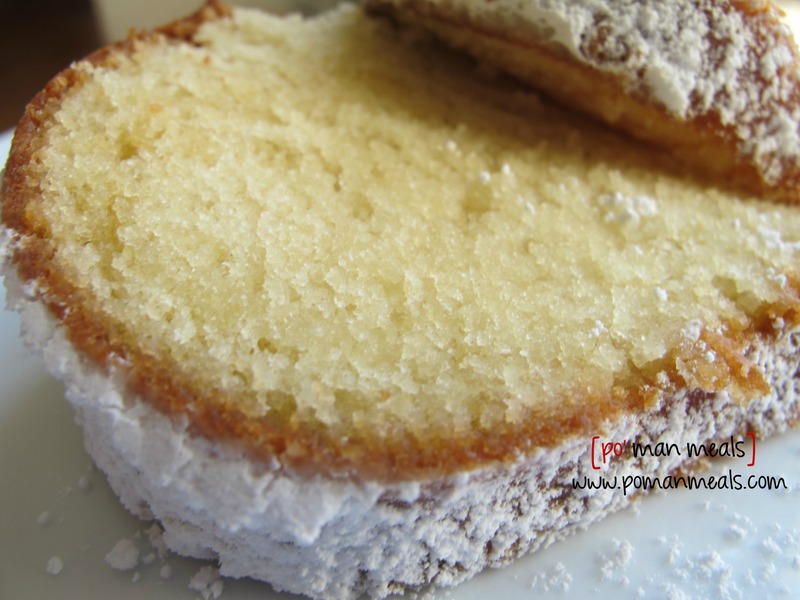 Is this cake the texture of a pound cake or lighter? I’ve made this cake 3 times since I found the recipe. My family loves it!! Made this last week. Kids are calling for more! I made your recipe more than 6 times. Every time i make it different. I made it with almond, vanilla,apple. i love it very much. Thanks fot your amazing recipie. Oh thanks so much for sharing this receipt. It was just great. Making another tomorrow as I only had one pan. Feel free to share other receipts as well. Just made this today. It’s fantastic! Very moist and yes, lighter than pound cake. I had to substitute the yogurt with vanilla soy yogurt and the butter with non-dairy margarine. It still came out delicious. I forgot to minus out the salt considering the margarine has salt, but I can’t really tell any difference. I had to substitute due to a dairy allergy, but it’s great to know that it worked out. I gave a few pieces away and got a thumbs up. 🙂 Thank you again. no worries! 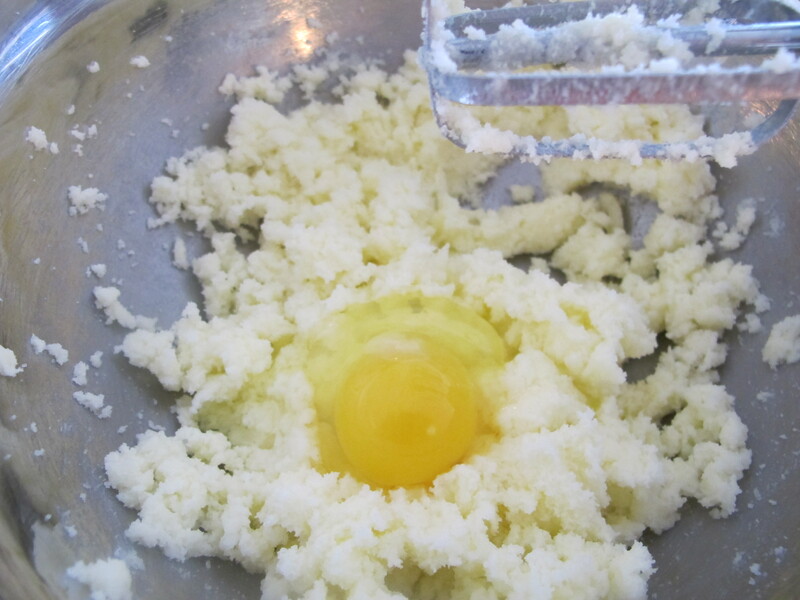 yes, this recipe freezes very well. please let me know of you try any other recipes! I am already planning a few more. Will definitely leave you feedback once I do. Take care! Hi. Im from the philippines. tried this recipe. Great. My kids loved it. Will gonna bake this today again. For the second time..thanks lots for sharing this yummy recipe ? This cake is amazing. Really good and light and the perfect vanilla taste. Also, really easy to make. Thank you for the recipe. My husband & I love this cake!! I made it & froze half since it is only the two of us & when defrosted you would never know. I am making it again today & adding roasted walnuts this time. Mmmmm. Can’t wait to try it with the nuts. Can you substitute Greek yogurt for regular yogurt? Hi there, can I make this in muffin tins? Does it have to be a cake? HI Michelle!! 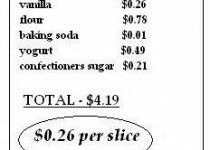 I noticed that this cake has no oil. Will that make a difference in the moistness of the cake?